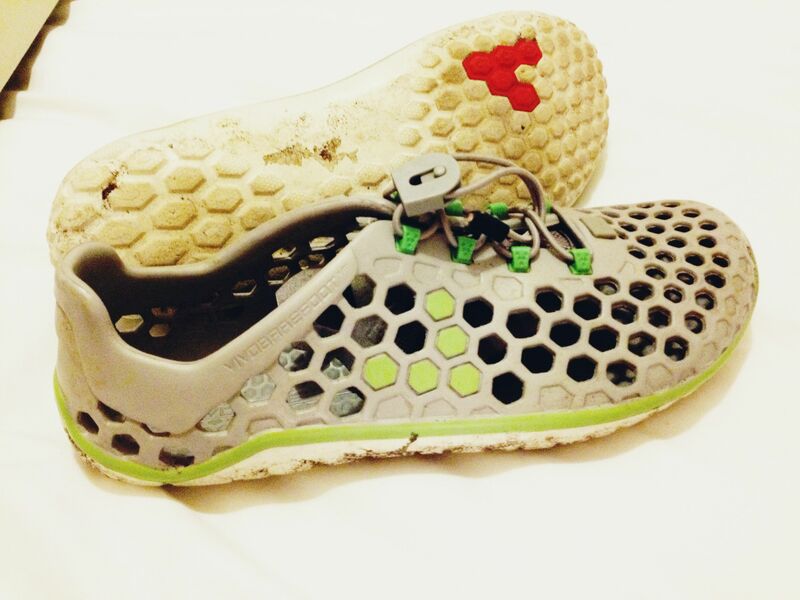 Vivobarefoot pitch this as an ‘amphibious’ off-road barefoot shoe. This I think is what has destined them for the sale rack (not that I’m complaining). It didn’t review particularly well when launched and in my view that’s because it doesn’t really belong anywhere near a trail. Initially I tried them with the sock liner attached (and no socks) but felt much more comfortable when I turfed that out, inserted the tongues and ran with socks. The liner tapers too much at the front leaving toes feeling somewhat cramped. There are dimples on the footbed which at first feel a little strange but not uncomfortable. The Ultra’s are super-light at not much over 110 grams (without the liner) and offer little protection which is to be expected. Walk away heel-strikers! These will hurt. And, to ensure nothing goes to waste (in the spirit of the ‘vegan’ branding’) the sock liners make some pretty decent barefoot slippers! Off road, I just felt my feet move around too much and it’s just way too risky when you have to be very precise with foot positioning particularly on the more technical terrain. They’re just not robust enough for rocks and boulders. On a smooth woody trail they’d be fine but on most of the trails I run they’re just too light and loose across the foot. Where I do love them is on the road. They’re flexible, responsive and really comfortable. Having used them for a few months I actually hate wearing anything else now when running on tarmac. Genuinely, these are a gem (especially when you can find them at around £30 – less than half the price of Inov8 Bare x-lites etc. I’ve been using them daily on the 10 mile run to work and they recently took me along 32 miles of canal and tow path (and will again). If you’re already running in minimalist shoes they’re great for the road. 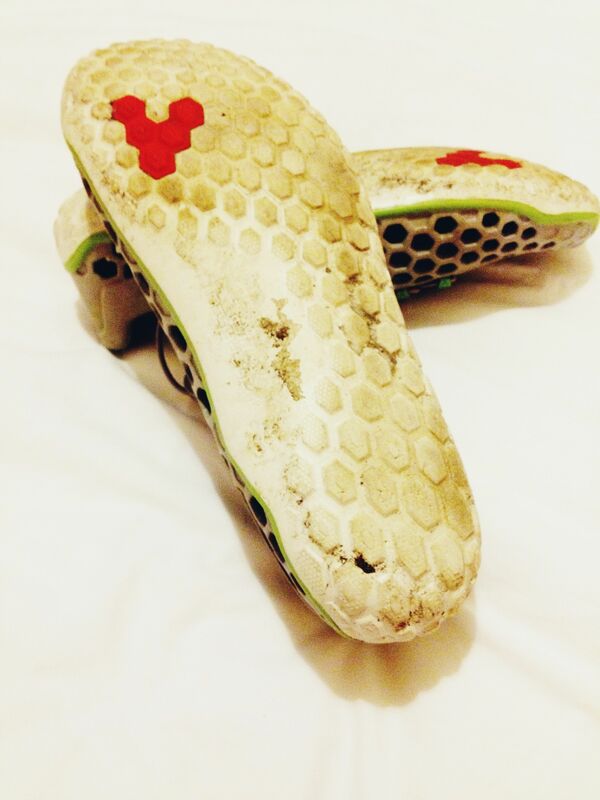 The first pair got me maybe just under 300 miles (with a little life left in the sole). The second pair I will run into the ground. I’ll let you know how that goes. Don’t expect them to work off-road and if you’re new to lightweight / barefoot shoes I’d tread carefully (on the mid-foot of course!). This entry was posted on March 1, 2012 by pyllon. 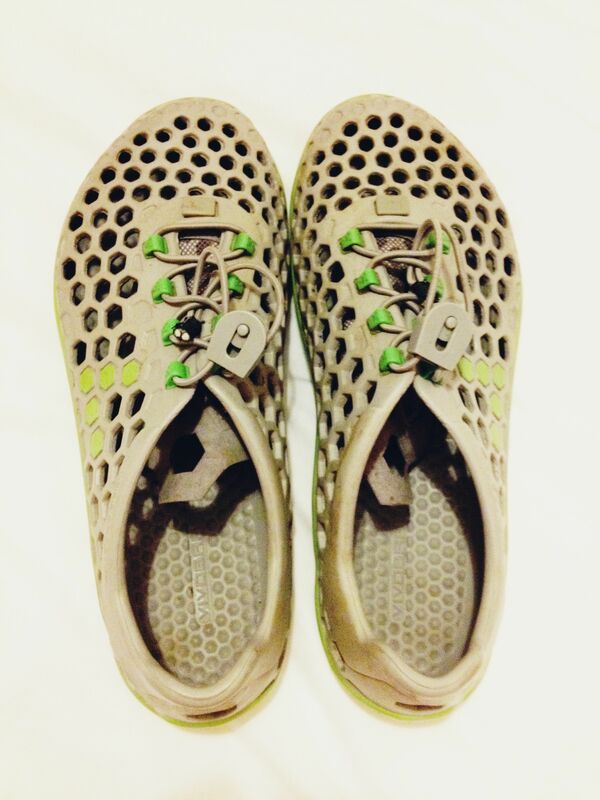 It was filed under Barefoot, Gear, Kit of the month, Minimal, Review, Running, Running shoes, Ultra, Vivobarefoot, Vivobarefoot and was tagged with Barefoot, gear, Minimal, review, running, shoes, Vivobarefoot. Been running in merrell trail gloves and love them, I assume these will have a similar feel. will have to look out for a pair of the black ones not sure that i like the white ones. Worth trying them on anyway Mike. Not as snug a fit as the gloves (or fivefingers) but a good sole. Cool! Will check it out. Thanks a lot Debbie. Hope you, Marco and family are well. I love your geekiness bro. I really do. Big flappy heel strikers like me would fail on these I think. As you float like a butterfly and sting like a bee, I can see why they would work! Agree. On the geek statement! Thanks for the great review, we’d like to feature it (including the photos) on our blog – would that be ok? Sure Jamie, help yourself. 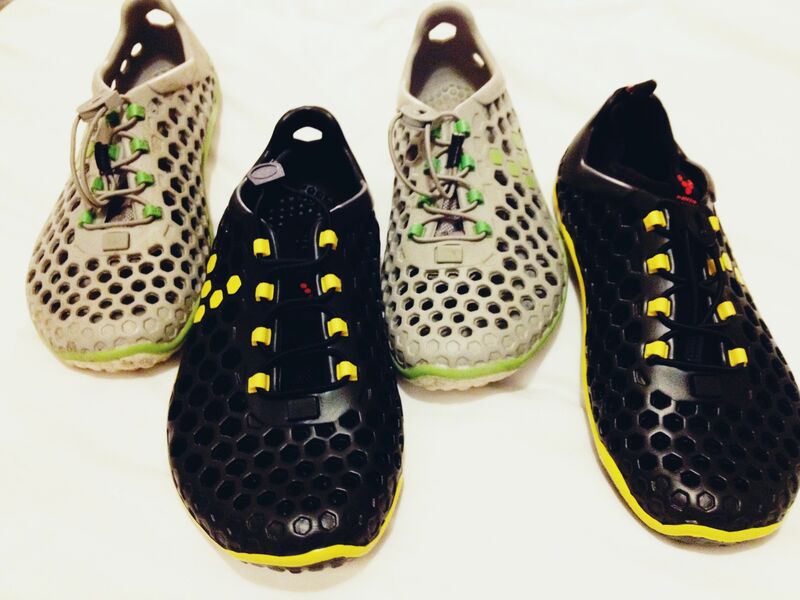 I’ve gone vivobarefoot crazy last few months so happy to help.